We’d love your help. 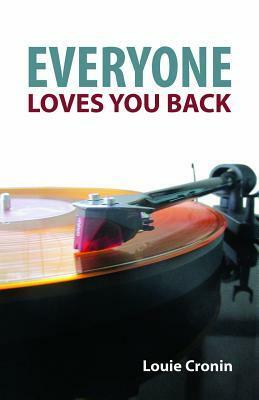 Let us know what’s wrong with this preview of Everyone Loves You Back by Louie Cronin. To ask other readers questions about Everyone Loves You Back, please sign up. If you'd love to ask Louie questions about her book, join me in a live chat on Tuesday, January 31 at 9 pm EST. Sign up here: http://bookclubbabble.com/live-author-event/ Join me? Would anyone like to participate in my January 31 live chat with author Louie Cronin? I'm hosting an open forum where you can type in questions you'd like to ask her about the book. I thought her book was funny and engaging and I can't wait to learn more! This book is my first introduction to this author. The saying is "First impressions matter". Well Mrs. Cronin really made a great impression on me. I recently watched the movie, Gran Torino featuring Clint Eastwood. In the movie he plays a grumpy, old man, who hates his neighbors due to their race. Yet in the end he becomes fast friends with his neighbors. I am not saying that Bob was that way but this is the image I got of him. His dueling with his neighbors may not have been as bad and in the This book is my first introduction to this author. The saying is "First impressions matter". Well Mrs. Cronin really made a great impression on me. I recently watched the movie, Gran Torino featuring Clint Eastwood. In the movie he plays a grumpy, old man, who hates his neighbors due to their race. Yet in the end he becomes fast friends with his neighbors. I am not saying that Bob was that way but this is the image I got of him. His dueling with his neighbors may not have been as bad and in the end I am glad that he grew a back bone. What I won't give to actually live in Bob's neighborhood. What with all of the quirky characters on both ends...the tree huggers and the developers. I actually felt bad for Bob. I think he did get shafted in the end with his relationship with Leonie. Yet. he was lucky that he was able to get out when he did. Bob was too nice of a guy. Leonie was the one wearing the pants in their brief relationship. Back to Bob's neighbors. I was rooting on the side of the tree huggers. I look forward to reading more work by this author as Everyone Loves You Back. This is a wonderful first novel and a real surprise. It captures the essence of life in Cambridge, Ma. in the 80's and 90's where the townies, the few who are left, have to deal with developers and the often pretentious ways of the academic types associated with Harvard and MIT. The author is masterful when it comes to the language of the day and she is a keen observer of human nature. You won't forget these characters and you will look forward to her next book, which, I hope, comes soon. A just plain fun and delightful read. I want more like it! Bob Boland notes that in Cambridge, Massachusetts everyone loves you back. Of course, he’s saying it sarcastically. They love you if you fall into line with how they want you to be, and capitulation isn’t Bob’s forte. In Everyone Loves You Back he struggles with his age, his neighbors, management, love and other sundry upheavals, all the while refusing to march in some predetermined rhythm. Bob, a beautifully flawed self-assessor, is easy to love. His honest, biting observations of the changes being made in his neighborhood and at the radio station he works at will have you laughing out loud. This is one of those “read in one sitting” books that provides both food for thought and great entertainment, which is just the type of book BCB loves to recommend! An entertaining read that every new Cantabrigian should read. It gave me some perspective on the history of our changing neighborhood in an entertaining package! What an original, delightful tale of life and love in the radio business, set in a gentrifying Cambridge. Loved it! As much as I loved all the behind-the-scenes radio station scenes – t I saw the term “coming-of-middle-age” in the description for this novel, and that’s what hooked me first. I’m 46. As much as I love reading about people in their teens, twenties, and thirties, it’s rare for someone my age to be at the heart of a story. Clear, lucid writing and a compelling, credible story made for a fun, enjoyable read.